Enjoy this rich and creamy ice cream this Easter without the hassle of churning! There are few things in this world as comforting as dark chocolate are to me. I love its decadent taste and justify eating it because people say its good for your brain and heart. Is it really? I have no idea, but I won't question it and won't research it and am sticking to that theory forever. How could you go wrong with dark chocolate ice cream? Can't really, unless you are not a dark chocolate fan and if so you have no business being on this page (my wife Lillian being the ring leader of all the haters out there). Now for the third amazing component, reese's peanut butter eggs. 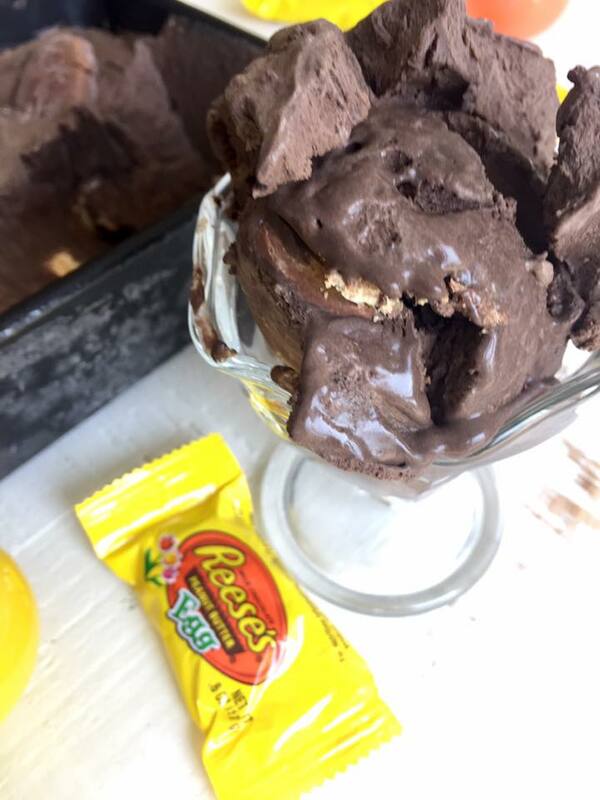 Dark chocolate, ice cream, reese's peanut butter eggs. All amazing. 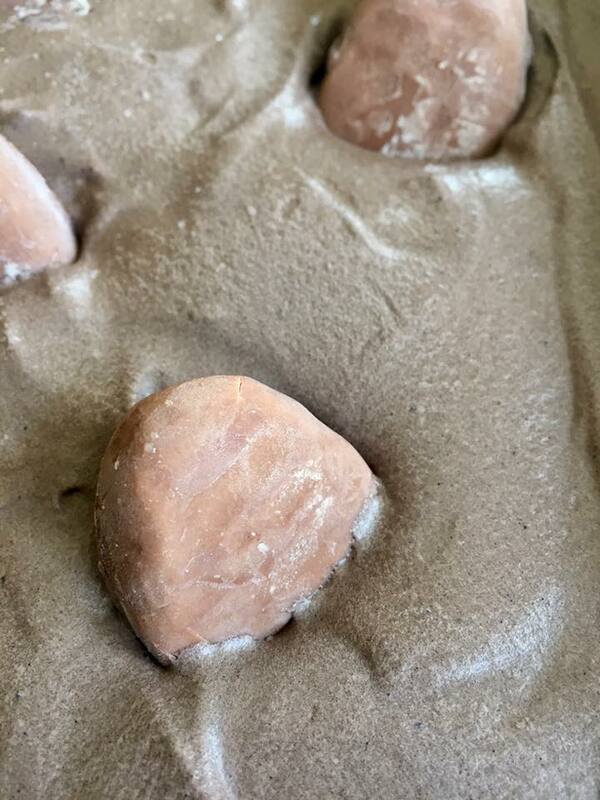 This is a fun and easy ice cream you can make for your family get together this Easter that adds some fun to desert. 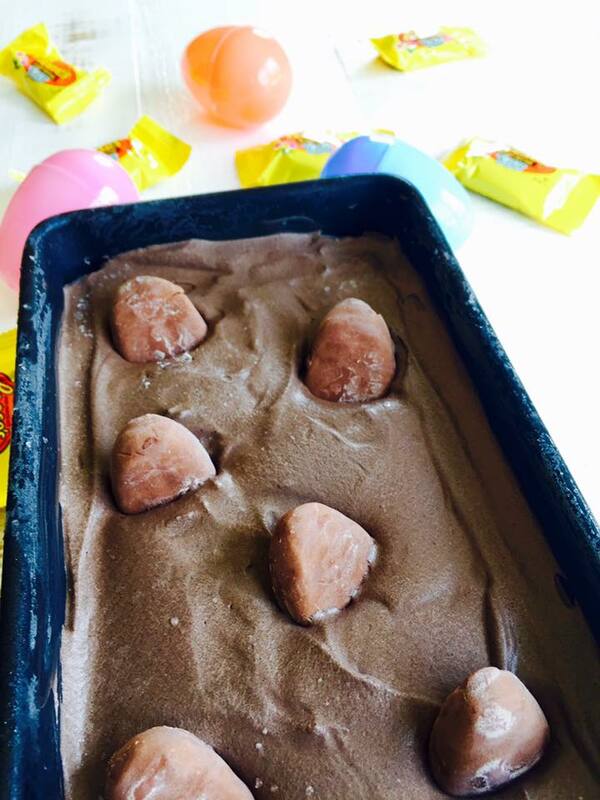 Finding eggs within the ice cream is the fun of an Easter egg hunt included in a tasty, and easy to make dessert. Enjoy your Easter!